We researched different real estate agents to market and sell our house, and decided to choose Rolfe East-Acton. This was because we felt the photography and quality of the Rolfe East advertisements were better than that of other real estate agents, the staff were friendly and we felt that the Rolfe East-Acton fees were good value. Throughout the sale process, we found the staff (James, Ash, Nick) to be helpful, proactive and good at keeping us up-to-date. We were happy that we chose Rolfe East-Acton to sell our house. We wish to thank you and your team, (especially Katie) for the professional way the sale of our apartment has been handled. Based on our recent experience we have no hesitation in recommending Rolfe East Sherborne for property sales and we wish you continued success throughout 2019. Sold our house through Rolfe East Northfields. Helped us get an excellent price, were extremely communicative through the selling and conveyancing process, really friendly, always available, expert advice, offered help and guidance with our onward purchase. Aurelie Thomas was truly excellent and turned what could have been an extremely stressful process into something quite enjoyable. 10/10 would recommend. Thanks! I have been very impressed with Nita and the whole sales team over at Rolfe-East. Very customer friendly team and knowledgeable. I cannot thank them enough for the help during my search for a new home. What a breathe of fresh air - after looking for a rental property for quite sometime and dealing with pushy & dishonest letting agents, we were so pleased to find Rolfe East through Rightmove. Denise & Alison have been great, so patient with all of our enquiries and made the whole referencing and approval process so easy for us. No headaches whatsoever with them - so happy we waited and didn’t settle. Stick to your requirements, I was told by another agent that we were too picky and wouldn’t not be able to find a place that ticked all the boxes Low & behold, we found one a while later - patience is a virtue!!! So if you are looking in the area, I would highly recommend them because unlike other agents they are actually attentive & extremely down to earth friendly people! Thank you Rolfe East! The cliché of moving house is a stressful one however my experience dealing with Chris, David and Nita at Rolfe East was extremely smooth and pleasant. Dealing with an honest agent who keeps you informed along the whole journey is so important and this is what happened. I would recommend Rolfe East to anyone looking to buy or sell a property. Really professional and friendly, nothing was too much trouble, it's an emotional time sorting out property needs and I found the staff really supportive. I wouldn't hesitate to recommend them. A complete service. with a great outcome.Thank you all the staff at The Northfields Office. This is just a short note to thank you and your team for obtaining a satisfactory sale of our house. Our house was quite large and a listed property with interesting period features and we were most impressed with the photographs which were taken. Perhaps more particularly we were impressed with your property description details, which were virtually word perfect, and we are very fussy about this. The sale went well and at all times we were treated with professional assistance. much to Rolfe East team, Tim and Valder. If you need to buy or sell a property then I can't recommend the agent Ash Patel at Rolfe East in Acton highly enough! Ash helped me to buy my first property and was brilliant throughout and is a world away from a lot of pushy and disingenuous estate agents I encountered before meeting him. He helped me to secure it when other parties were interested in it and he also helped to negotiate a good deal for me on fixtures and fittings. His manner was calm and professional and when the sale slowed because of a missing document he worked tirelessly to chase both sides for the solution until the sale was completed and he put my mind at ease throughout that period. Ash even came to pick me up from the tube station on a rainy Friday to drive me to the property on the day I completed! professional and competent manner I was very favourably impressed. Ash helped us along the process of purchasing our first home, providing a the best advice and attention at all times. He was honest and understanding with us, and I believe the previous owner of our flat felt the same. We were very pleased with him and would definitely recommend his services to other people. recommend the service of Rolfe East Northfields. I would like to thank James and Ash for all their hard work in Saling our house I would recommend them to anyone who needs to their property in the future. James and later Ashe both were professional, understanding and knowledgeable. They showed great patience as the sale process took over 18 months due to probate issues and complications. They took last minute unforeseen problems with ease. 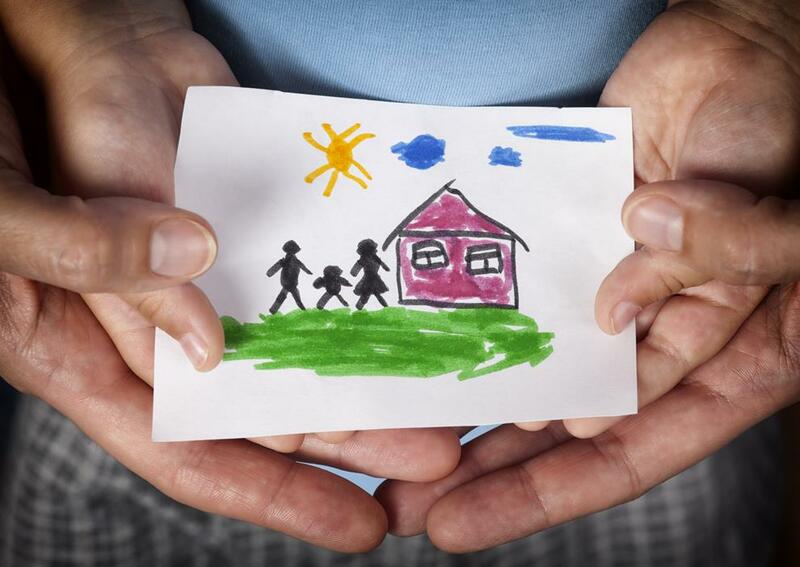 They helped with a long and sometimes stressful period of me being an executor of the estate. Thank you very much. James and the team at Rolfe East Acton worked extremely hard to sell my flat - it was an unusual sale in that I was selling with tenants in place and was under time pressure to complete in order to purchase a house. James, Ash & Lamour handled a difficult situation professionally, dealing with the tenants who were not keen on viewings, sensitively and diplomatically. They got me a good offer from a cash buyer and then stayed involved throughout the sale process, prompting both parties' solicitors to make sure delays were kept to a minimum. I can't imagine any other estate agents providing such a comprehensive and personal service and cannot recommend them highly enough. Ash & James were endlessly helpful, easy to understand and responsive in all communication (email, phone, texts). Rolfe East seem to know Acton better than other agents and I always felt they would deliver for us. The staff at Rolfe East provided are exceptional service during the letting of a flat, particularly Denise who worked extremely hard on my behalf. Their professionalism, efficiency and dedication came as a refreshing welcome change from experiences that I have had with previous agencies. Throughout the whole process I received clear communication and updates that enabled a smooth process. I was able to move in to the flat 4 days after my initial enquiry. I have no hesitation in recommending Rolfe East, I look forward to any dealings I may have with them in the future. I was very pleased with the service I received from Rolfe East, with a big thanks to Aurelie Thomas who mediated between me, seller, mortgage adviser and the conveyancers to ensure the sale went through. Aurelie was very quick to respond to any queries and communicated any issues quickly. Firstly may I take this opportunity to express my sincere appreciation for doing business with your amazing team in Acton. Thank you very much indeed. It was a delight from beginning to end and I have already recommended you to someone who was struggling to sell her property. Rolfe East is down to earth, committed and for the people. I have had experiences with Estate agents in the past and Rolfe East has come out on top. It's a pity I did not choose you from the word go. Anyway better late than never. I would have to give them 9 out if 10 and achieving 10 is not difficult. Let me explain. On some occasions I was not informed of a viewing so this was uncomfortable for me when people showed up. I worked shifts so it would have been nice if I was informed. I am not complaining as we live in an imperfect world with imperfect people and I know their job is challenging. I am mentioning it because with improvements, Rolfe East can reach for the skies. This is the confidence I have in your company. I will thank them separately. Well done and thanks. "I would like to thank you for the excellent service provided in the sale of my Sherborne Property. To sell within three days of taking photos and at a price that exceeded my expectations was truly remarkable. From the moment you viewed my property I had good feelings about Rolfe-East and was not disappointed. Your professionalism and enthusiasm together with that of your wonderful team Jess and Charlotte was both warming and encouraging when facing the stress of moving house. I would recommend without hesitation that anybody wishing to move in the Sherborne area should engage you and benefit from the Rolfe-East experience." I am happy to confirm Richard and Chris acted professionally and were always a step ahead of the lawyers in terms of their experience and foreseeing issues. Their experience in commercial transactions was clearly evidenced when speaking to them. They were always contactable and would chase solicitors when necessary and would act as a go between. I would not hesitate in using their services if I were to sell any properties. "I am very happy with the service I received from Chris and Richard at Rolfe East. From the outset, they understood my needs and communicated with me every step of the way. My property was sold within a matter of weeks and the service I received throughout that time was very professional. They are an amazing team and I would highly recommend them." Laurence, Cameron and Jessica could not have done a better job for us. They were patient, kind and very understanding during the process and achieved a superb sale. Thank you all. I must admit trying to find the right property is a mission, luckily 17 viewings later, found the perfect new home with Rolfe East. My new home is perfect, its got loads of space, exactly to be home feel requirements and a feature garden. I am literally just waiting for my keys- yes I am a happy bunny. The staff have been so helpful and reassuring, Denise and the manager - thank you !!! Phil and the team in Northfields in West London were great and very responsive. Their work was especially appreciated as we lived in East Sussex and had to sell the house remotely (making their life more complicated that it normally would be). Their help and support was very much appreciated and recommended. Absolutely great service from the Letting team who has helped me to found tenant. Alison and Denise has been fantastically helpful, professional and efficient, they communicate with me efficiently, kept me updated for the latest and act quickly, they manage to let the tenant move in within 2 days from the first viewing. Throughout a roller coaster ride trying to sell our house during the Brexit period, Rolfe East and in particular, Laurence Truett, has provided the very best information, the concrete support and patience when all around us was chaotic. Laurence had to cope with Is losing our first chain before Christmas and did his utmost to keep us in touch with our dream home. Just after January, we were back in the game. He was instrumental in chasing solicitors, ensuring that our sale was smooth this time round. He always made time to cope with my questions, rants and frustration and has always put my family first. In short, I really couldn't rate them higher. They offer realistic advice and a personalised service that you will not get further up Cheap Street. They are very much how estate agents should be. Honest and hard working for all the right reasons. If you are thinking of buying or selling around Sherborne, you won't find better quality customer focused service. Best wishes to you all at Rolfe East. I have no hesitation in recommending Laurence Truett and Rolfe East. From our first meeting, Laurence was very professional and arrived equipped with a lot of relevant research on similar local properties. He knows the market well. He was efficient and very pleasant to deal with. Throughout the selling process he kept liaising with all parties involved to ensure that things progressed as smoothly as possible. We bought our house recently and couldn't be more happier with the excellent services provided by Philip and team. They did their best to accommodate our needs. We moved from Italy to London with a little baby so we were quite worried and stressed but Fleur was very helpful and she understood our needs. She found for us a very confortable and cozy house and she assisted us along all the process. Also Nick was very kind to help us in the management of the house, so I warmly recomend the Roelf East! We had a great experience with Rolfe East in Acton and would definitely recommend. Having seen a property with Max almost six months before completing, he did everything he could to get us the home we wanted. He was professional, efficient and trustworthy, pushed negotiations when needed and helped the purchase stay on course over many months, despite issues with our buyers. Cannot thank him enough! We found great service from all the staff and with the added communication via email, ensured we were kept updated at all times. Wouldn't hesitate to use your company again and highly recommend you. Thank you for assisting with our sale . When you are faced with a difficult sale and a potentially challenging purchase, the best thing to do is to sell and buy with the same estate agent. Shane Active and Adam Smith from the Greenford office and Max Rolfe from the Northfields office were fantastic at liaising with each other making sure my sale and purchase happened in the timescales dictated by my buyer, despite all unexpected difficulties. The Rolfe East team were great and I felt thoroughly supported throughout the entire process. I would greatly recommend Rolfe East to anybody who wishes to either sell or buy a house. Thank you Shane, Adam and Max! total appreciation for all you've done. Scott from the outset you were great. Not pushy and showing desperation for my business. You pitched the sale price perfectly. And well Philip what can I say. You have been so professional, helpful, efficient and always responded to any of my queries straight away. process so much easier to deal with. Throughout the tenancy, the help, support and advice I received from Isleworth branch manager Alison Butler, Denise Martin and Management office Manager Andy Wakefield was amazing. This is the best service I ever received compared to all other estate agencies I stayed with. I wish them all the best in the good work they been doing in Hounslow borough. Thanks again and I might come back to you again in future. I had the pleasure of meeting with Denise and Alison at the Isleworth branch when I was looking for a new place to live. They were extremely helpful in helping us find a new property to live in. Very approachable and always got back to me as soon as possible regarding any concerns I had. I would definitely recommend their services. The helped us secure a beautiful flat and we couldn't have done it without them! Philip dealt with the purchase of our house. He was very proactive with updates and helped answer any questions as best he could. I would certainly recommend their services. I would like to thank a member of staff called Alison from Isleworth branch. Alison was very respectful, helpful and very professional. She was very honest with sharing ideas, choices and we highly appreciate all her hard work. We were overall very satisfied with her service and Rolfe East in general. Many thanks. Maya Elriche June 2016. I highly recommend Rolfe East for their excellent service throughout our sale and purchase, the whole team across the Northfields and Ealing Broadway offices were fantastic. Philip deserves a special mention as he managed our deal through very choppy waters to a happy conclusion, often going the extra mile. Philip, I have no doubt that we would not be ensconced in our new home if it wasn’t for your efforts. Enormous thanks to you. Excellent service from Rolfe East and Max in particular, I bought my TW8 house through them and they were very helpful throughout the process. We have just moved from Hounslow to Kempshott and used Rolfe-East as our selling agents. I would like to take this opportunity to say how impressed we were with the service we received by Aran Ubhi who kept us informed and helped keep the chain going. He was always polite to deal with and we always felt we could speak to him if we needed too. He was a real professional! The house sale went through very quickly and we would highly recommend Rolfe-East and Aran to anybody we know who is thinking of moving in the future. Really helpful agency! Nick was great at getting back to us quickly and even helped drove us there to meet the landlord on day one. Highly recommend. One of the first of many estate agents I contacted late last year to value my garden flat in Acton. I was given a realistic estimate on how much my flat could be marketed for, contrary to some other local estate agents who quoted me an over inflated estimate in order to gain my business. The selling contract drawn consisted of just one double sided A4 sheet without an endless list of complicated terms and conditions. Rolfe East is one of the few agent in the high street who does not tie you in with some clauses and penalty should you want to take your property off the market for one reason or another. Just 2 weeks notices if I remember was required with no penalty. I was re assured that should I needed to, I could put the process on hold at any time. My property was marketed just before Christmas and was advertised on 2 property search website as well as in the local weekly property paper. I had a firm offer a month or so later and we completed the transaction on the 31st of Mar 2016. I had regular communication from the agent keeping well informed on the progress. At some point, a possible legal issue coming from a 3rd party ,which could have jeopardised my sell propped up and although this was something that was to be sorted out by myself, my contact at Rolfe East gave me great support and most importantly kept his cool, despite the fact that all of us did think for a few days that indeed, the sell could possibly fall through. Last but not least, although the office opens at 09h30, I did notice during my many visit to the branch that a daily staff briefing takes place shortly after so a 10h00 appearance is probably more adequate! Thank you all at Rolfe East Acton! We have just completed on a property through Philip Wood @ Rolfe East Northfields. We found them a really friendly business to deal with, professional and on the ball. When Philip wasn't around to speak to, Nick and Max also went out of their ways to provide assistance and support. Would definitely recommend them. Rolfe East sold my flat last year and were very professional and helpful. I was particularly impressed that they weren't pushy as many estate agents can be but instead seemed to take the customer experience seriously and regarded customer care highly. The service we received from Philip was without doubt above and our expectations. He approached the sale of our property with a real personal touch and a level of customer care which can only be described as second to none. Thank you! Nick Crayden a incredibly nice and professional person he helped me get into a new place in the fastest time that I couldn't imagine. When he called me and ask me to sign the contract I didn't even realise that he had done everything for me. I never expected renting a place will be such smoothly. Thank you Nick. My first experience of letting a property was conducted helpfully and efficiently by Nick Crayden and the other staff at Rolfe East . I had viewings and offers almost immediately and I have no hesitation in recommending the company. Great team, very helpful and extremely competitive rates. This is my first experience working with an agent as a landlord and they have been a pleasure so far. The best experience ever.. very well recommended and specially Nick who is very helpful kind and professional..thank you. Rolfe East are without a doubt the best estate agents I have ever met. A great personal service by Denise Martin from start to finish, always easy to get hold of and great communication, I would 100% recommend them. My boyfriend and I are renting a flat that is managed by Nick Crayden who is an agent at the Rolfe East branch in Northfields. Nick did a wonderful job from the first point of contact up to signing the tenancy agreement and as well as everything else that comes up during the tenancy. He is great with communicating between ourselves and the actual landlord. There is only a tiny, tiny negtaive aspect about Nick's service, which is his responding time. I am not surprised about that as a great agency/agent means a lot of clients. Nick helped us relocate whilst our current property was being renovated. He was quick to respond, got everything moving quickly, and everything went as planned on a tight schedule. Would definitely recommend. Absolutely helpful and honest. Nick is outstanding to make things happen seamlessly without any fuss. Would recommend these folks to any out there looking for help in renting a flat. I am just writing in to thank your office for the recent reletting of my Mother's flat. Owen and Marcus were both dealing with the viewings and both worked really hard to meet our requirements. Marcus in particular needs a special mention as he was a new recruit but despite his inexperience, impressed us with his enthusiasm and energy in trying to get us the best tenant. He's certainly an asset to your team and we wish him all the success for the future! 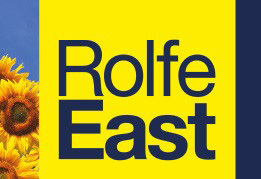 I have just recently sold my property through Rolfe East. After a couple of attempts previously with other local agents , I knew from the initial meeting that the team at Rolfe East , acton office were the right guys for the job. Laurence, James and Alex were very professional, approachable, understanding from the start and have all been a true pleasure to deal with. Alex particularly went the extra mile to find me the right buyer and has helped me through the stressful process of selling. Alex has remainied calm and professional at all times. He has been amazing. I would definitely recommend Rolfe East Acton to anyone looking to buy or sell in the area. I would definitely recommended Rolfe East Acton to anyone who is looking to buy or sell in the area. We bought our home in Hounslow through Arun at Rolfe East. From beginning to end, although a lengthy sale, we were kept well informed and looked after so that we could secure and complete on our dream house. Their level of customer service was fantastic and no question was too big or too small! It was a pleasure to work with him! The team are very efficient and friendly, I've always had great service from Rolph East. Sasha and Ibrahim were of great help finding a new flat for us and our dog! Really recommend them. I recently bought a house through Rolfe East in Acton. It was an excellent and attentive service. Especially made difficult by the fact I did not live in London. I plan to use the letting team once the house is ready to let. Sasha was great to work with. She made herself available and was very helpful! The team are very efficient and friendly, I've always had great service from Rolfe East. Very nice and professional....Nick Crayden made is easy to find the right property for rent. Was helpful in the whole process. Best part for me (new to UK) was transparency, setting right expectations and timely delivery. Thank You!! We had the pleasure of having Nick Crayden find us our new home to let. Nick was very honest and forthcoming, and was able to take us through the process quickly and easily. Excellent and attentive team at Rolfe East. Made buying back in London much less stressful than we expected. Look forward to doing more business with them. I was looking for somewhere to live near Kingston and was having trouble finding anywhere that was available. I was using property websites and having no luck getting anywhere in time. I spoke to a few different estate agents and it was as if nobody was interested in helping me. I spoke to Alison about a property I had seen online which again was unavailable but this time, instead of being told "no" and hanging up the phone Alison asked what I needed/wanted and lined up a few places for me to look at. Someone on your side who's genuinely interested in getting you the right place. There was no pressure put on me from Alison, completely honest and straight in whatever she said. The staff in the office were great too. Couldn't recommend this place more. First choice if anyone looking for property. My case has been handled quickly and professionally and I feel like all of my needs are a priority. They have maintained constant contact to update me on everything that is happening. Nick Crayden helpfully provided us with regular updates on the interest generated in our property. He regularly made himself available to respond to our questions and was also prepared to spend meaningful time with prospective tenants during property inspections to ensure all important matters were covered. This ultimately lead to a successful letting. Thanks for your assistance, greatly appreciated. Excellent, professional service. Would recommend Nick who managed to rent our property within 24 hours. Good communications via all parties. Quick to call and respond to issues. Thanks for the excellent service level. Sasha has been extremely helpful throughout the entire process of finding and renting a flat. Definitely recommend her and Rolfe East if you seek to move to London. With the assistance and professional service of Alison we managed to find a really good property to rent. She has been very helpful, resourceful, with courteous customer service. The process ran quite smoothly as she kept us very well informed. Many thanks to Alison and Rolfe East. We definitely recommend Rolfe East Isleworth. We had the luck of finding this great office in Ealing. Karolina Kwiecien was the agent helping us. She was immediately available to assist with our short notice request and was prompt to help and make suggestions that lead us to find our perfect place. I highly recommend her services! If you are looking for a place in Ealing, she is the person to go to. Thank you for the great customer service! I would like to state that Owen Nato, who is based at your Greenford Office was very supportive, extremely professional and helpful. Just bought a flat through RE, the service we received from Arun and the team was as expected. Although the whole process took longer than anticipated (through no fault of RE) he kept us informed throughout and contact on our behalf other parties involved to get the process moving. He was efficient and courteous and can be recommended as a thoroughly professional estate agent. Very impressed with how Nick Crayden, in the Northfields office knew exactly the type of tenants we were looking for. We were kept informed of the progress all the time and talked through all the steps to ensure our property was rented in a timely fashion. We chose to go with the full management option of our property by Rolfe East as we know a good job will be done and we will have peace of mind. Thank you Nick and team! They sold my flat in North Acton, the services offered by Rolfe East were very good, I am very happy with them, the people in the office ( the two people ) were very help full keep the good work, I will come back, if I need to buy, Thank you to all of you. I recently used Rolfe East to sell my home and would highly recommend both RE and Aran in the future. Aran was very enthusiastic, helpful and proactive throughout and kept us well-informed during the entire process. Aran, you have been very helpful, professional and patient in each and every step in our purchase. Thank you so much for the Rolfe East team, your service is brilliant. The team at Rolfe East, helped me to sell my house. They made the process stress free and were professional and friendly. I've been extremely happy doing business with Rolfe East. The staff at Acton office was very helpful and assisted us throughout the process of sale of our two properties in Acton. Laurence, James and Alex were fantastic, I am truly grateful to them for all the assistance provided. They've been very professional and very patient with me as I needed quick sale on one of my properties, especially James have been very helpful and went an extra mile to speed up the process. I am very very happy and will highly recommend Rolfe East to my relatives and friends should they need. Once again many thanks and all the best! Hi we are really pleased with the service from Rolfe East. You are managing our rental flat for us and we are happy about all aspects of the management, including sourcing tradesmen, communication with us, quality of tenants. I have a regular contact in Andy Wakefield and he always knows what is happening. All staff members are courteous and easy to deal with. I have liaised with a number of Estate Agents over the years, but I must say the level of service I received from Rolfe East in Northfields is impeccable. From their friendly nature to their excellent knowledge of the surrounding areas, they are a pleasure to work with. I would have no hesitation in recommending them. Efficient agency and nothing is too much trouble. Reliable and trustworthy and great to do business with. I highly recommend Rolfe East, Greenford. Completed on selling of my North Acton flat today. The team have been tirelessly liaising with all parties to bring this to a conclusion. I found them professional in all my dealings. They offered me advise and kept me updated throughout the whole process. They responded to my emails and phone calls very quickly and resolved issues in a timely and constructive manner. I found then friendly and understanding and would be happy to recommend them to family and friends. I had a lovely mews house to sell, but in a tricky location (nearby development pending). Laurence, Patrick and James did a great job getting viewings arranged in the tricky Oct-Dec period, although successful sale not reached until Mar. This came in the same week that we secured out onward property, so couldn't have been happier. They're a great team and work hard for the client, and have very reasonable commission rate. Wouldn't hesitate to use them again. Friendly and helpful team. Really excited to move into our new flat. Thanks for your help! Generally all worked like clockwork as far as the agents were concerned. Laurence Truett in particular was phenomenally efficient, first putting all prospective buyers in touch, then wrapping the sale up quickly and with good advice. When our purchase went pear-shaped because of mendacious solicitors he was effective in banging heads together and getting things moving again. Highly recommended. I still remember the stressful times when I was getting slightly depressed of finding my perfect flat! I have even forgotten how many agencies, flats, houses I visited, called up on and got knocked back from, or just didn't like any. When I was on the edge-another wrong property-all of the sudden my phone rang-I didn't even know who was it-she just said I have a perfect flat for you. It was Karolina-she came like a true blessing from heaven-I did tell her what I was looking for but that was months ago and I couldn't believe my ears what i was hearing. I was so eager to go and see-and I was so pleasantly shocked - honestly-the flat ticked all the boxes. I fell in love immediately. I just can't believe that I've explained myself once over the phone what type of property I'm looking for and bang months later she got me the perfect flat. She was very friendly, lovely, bubbly, and the fact she listened to my needs and wishes made the experience dealing with Karolina very special. Overall if you are looking for a perfect flat or house I would recommend to call her as she will definitely get you what you are looking for! Feeling very blessed! Thank you so much! Laurence and Patrick handled a tricky vendor for me with integrity, good grace and a high level of professionalism. On a number of occasions they went the extra yard to keep the transaction on track and were only able to do this through building a strong relationship with both sides. I would happily recommend them to anyone looking to buy or sell their home. Very happy overall with service. I was skeptical when I first met with Laurence as I thought he was giving me the usual estate agents spin but Laurence came through with results. When he said he had buyers for our property – he did. He qualified the potential buyers and provided us with 4 potentials and one subsequently bought our property. Laurence sold our property within 2 days. Laurence communicated with us clearly and demonstrated that he was trustworthy. We would recommend him and Rolfe East. Sasha was great. I saw just one place that was exactly what I was looking for. She remembered that I was very interested and immediately followed up when the place was available again. It was the nicest experience I had so far in looking for a place. Sasha, you brought Christmas to me early, what fantastic news! And thank you so much finding and securing me the perfect property. Recently I called upon your services for the purpose of Probate valuation. It was such a pleasure knowing you offered this service for free. In my case, it was not about what I might have paid or saved - simply the gesture when emotions were and are raw and the going tough to know that it was not all about monetary gain. I would like to thank you for the service which I very much appreciate and when it comes to down sizing I shall further engage with your services. I would like to say a big 'Thank You' for all of the help you provided around the recent change of tenants and for overseeing the renovations so efficiently. You made what I found quite a daunting task relatively easy and smooth. The photos and updates were much appreciated. My being away from home at the end was unfortunate timing, but, by then, I felt that the process was in a good safe pair of hands! What else can we say except a huge and heart-felt thank you to you all for the superb service and support we have received from Rolfe East Ealing before, during and after the sale of our home of 30 years. Selling one’s home is never going to be an easy, or indeed pleasant, experience but from the initial first contact and valuation, to advertisement and viewings – which happened as planned and on time- all the way through to negotiation and completion and after Rolfe East Ealing have been there for us. Always responding promptly and efficiently to our questions and concerns, always cheerful and positive and encouraging -even when we weren’t and needed some hand-holding and reassurance. In conclusion it has been a pleasure working with you all towards a common objective, a good price for our home with as little fuss and aggravation as possible. THANK YOU. Dear Gary, We would like to thank you for dealing with the sale of our house in Ealing recently. We were very pleased with the manner in which you managed each stage of the transaction. The fact that we were not resident at the property during the viewing period could have been problematic for us, but your management of the situation and expertise removed any anxiety we may have had. The whole process was surprisingly quick and remarkably stress free, which we attribute to your obvious experience and professional approach. The final outcome of the process was one of complete satisfaction and we would have no hesitation in recommending your services to others. I recently sold my family residence through Rolfe East. What a delight it was to have a plain speaking, pro-active and honest estate agent to deal with.The manager Tom Sibley, was easy to communicate with and gave me clear and reasonable expectations and did not try to oversell my property or their services. Gary Smith whom I originally used as the agent to buy the property some 8 years ago was as knowledgeable and amiable as an agent can be, an absolute pleasure to deal with and so helpful in giving me a clear picture of the local market. Aurelie Thomas was professional, calm and amazingly good at understanding both my buyer and myself! Without her diligent attention to detail the whole transaction would have been unbelievably stressful but with her intelligent reasoning the process was almost pain free! The administration team were always courteous and informed on the sale and this made communication quick and easy. The whole team including the other sales negotiator Owen, made my experience so simple that I chose them to find me a buy-to-let property! The agent supported us throughout the transaction from initial valuation right through to completion , keeping us updated at all times. They always considered the tranactions throughout the chain and not our sale in isolation. The valuation was realistic allowing us to obtain a sale at that level. Many thanks for all your help - especially James! I am writing to thank you for your very successful efforts in selling my flat in Thackeray Court. I was delighted to receive an offer at the asking price. This reflects your experience and detailed knowledge of the area and the market. We were delighted to have you working with us. Thank you also to Owen who masterfully chivvied both sides along to get the deal completed. Laurence and Patrick handled a tricky vendor with integrity, good grace and a high level of professionalism. On a number of occasions they went the extra yard to keep the transaction on track and were only able to do this through building a strong relationship with both sides. I would happily recommend them to anyone looking to buy or sell their home.